Offering minimum wage for entry-level manufacturing workers may seem like the only option for your business. The workers can have high turnover and you probably need a lot of them. Contrary to popular belief, paying entry-level workers minimum wage may not be the best business move. 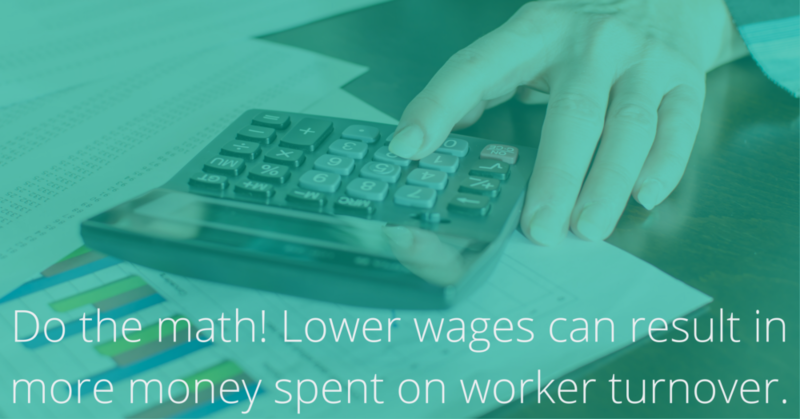 Low wages can mean low-quality workers, which can ultimately hurt your business in the long-run, both from a quality and financial perspective. Is your company experiencing these issues? If these issues sound like your company, it’s time to explore paying your employees more. It may seem too expensive in the beginning, but the cost will pay off in the future. Will raising wages ignite change in your workforce? The short answer is YES! Alliance Industrial Solutions conducted an industry-specific study of pay rates, and it concluded that companies experiencing the aforementioned issues were paying their employees too low of a wage. Raising the wage from nine dollars an hour to 11 dollars an hour made a drastic change in the talent they were able to attract. With just a simple two dollar an hour bump in pay, more qualified, reliable talent was ready to hop on board for the company. It may seem like a large wage increase when you take into consideration your whole workforce, but compared to turnover costs, loss in production time and employees skipping crucial shifts, it can completely turn around your productivity and gross margin rates. What changes can you expect to see with a wage increase? More qualified, dedicated talent will be ready to work for you as soon as the wage changes. Employees will be elated to receive a wage increase and you will build loyalty with current employees. This wage increase can also motivate workers to increase their production numbers. Employees who feel appreciated are known to work harder. Raising wages, even just by two dollars per hour, has the ability to transform your business. Companies that have enacted higher wages have seen huge improvements in their morale and production. If your company is in need of new, highly-qualified talent, consider raising your wages to attract the talent you need to move your business forward! If you are currently looking for new, qualified talent, Alliance Industrial Solutions employs recruiters who are dedicated to finding staff with the skill and culture fit that you need. Contact an AIS recruiter to get the staff you need today!